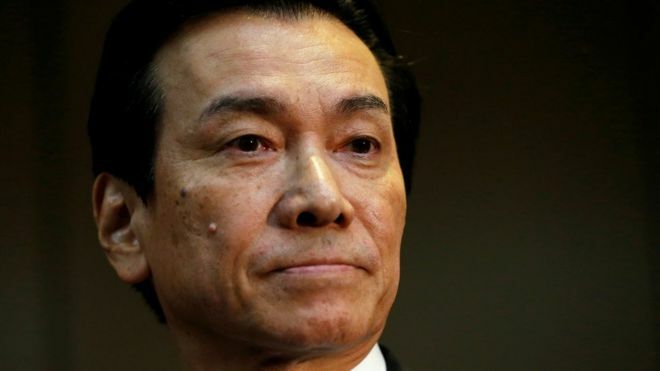 Toshiba chairman Shigenori Shiga has resigned, hours after the Japanese conglomerate revealed details of a multi-billion dollar loss, BBC reports. Earlier Toshiba had delayed issuing its results, but it then said it was set to report a net loss of 390bn yen ($3.4bn) in the year to March 2017. The company said it expected to take a 712.5 billion yen ($6.3bn, £5bn) writedown at its US nuclear business. The situation has led some analysts to warn the company's future is at risk. Mr Shiga was stepping down "to take management responsibility for the loss", the firm said. Shares fell by as much as 9% on Tuesday and have lost about 50% since late December, when it first warned about the extent of the problems.